I hope things are going well for you as the year ends. It always seems like the days are speeding up at this time of year. It has been precisely a year since Adam left me. On the streets, New Year’s Eve partying is in force, but here on the station, all is quiet. Byron Bay has turned out to be not at all what I needed. Despite determined efforts to be cheerful, to smile at strangers, to exercise and swim, even to have a Reiki treatment, I have slid further and further over the line. My feet are placed squarely on the white mark beyond which you may not pass. Two steps and I will be over the edge. Why a train? Why not pills, drowning or a blade? Perhaps I was thinking of Anna Karenina – the snow, the rushing wheels, the final jump. I always have been fond of trains. How did I come to this point? Perhaps it is as simple as a loss of pleasure. That’s how it seems. The world feels tuned to black and white. This black and white world has been mine for a year now. It no longer seems likely that it will change. A Dali print used to hang in the bathroom which Adam and I shared. Every morning and evening, the drooping clocks mesmerised me as I brushed my teeth. They hung off tree branches and walls like melting cheese on a hot summer day. If time was really as soft as a camembert cheese, would I bend it back and do things differently now? A raindrop lands heavily on my head and a clay-like smell drifts towards my nostrils. I check the battered timetable I have plucked from the drawer in my motel room. The train from Sydney arrives at 21.20. I do the figures again. Fifteen more minutes to wait. I tap my feet on the concrete, watch spots of rain decorate the rails, try to focus my mind, so I will be ready. The voice is an unwelcome distraction. I thought I was alone. The girl is a strange figure in this setting – neatly cut hair, glasses, a short-sleeved collared shirt tucked into too-high jeans. A briefcase hangs from one hand. Most of the Japanese I’ve seen in Byron are hip. They have jagged-cut bleached hair and low-slung shorts. This girl shares one thing with them – a surfboard in a silver cover is slung over her shoulder. She doesn’t look like a surfer. Bingo. I could almost laugh. Do I want to spend the last moments of my life playing bingo? With a girl who has no dress sense? Let me just think about that. Hm, no. I picture the irony. Did you hear? She was playing bingo. Before she jumped. Sad. She used to really be someone. The girl bows. ‘Sorry.’ She turns to go. I feel bad. She seems lonely. She wants to play bingo. I don’t want to leave this life feeling selfish. Pretentious and delusional maybe, but not selfish. She swivels back, her eyes apologetic behind her glasses. 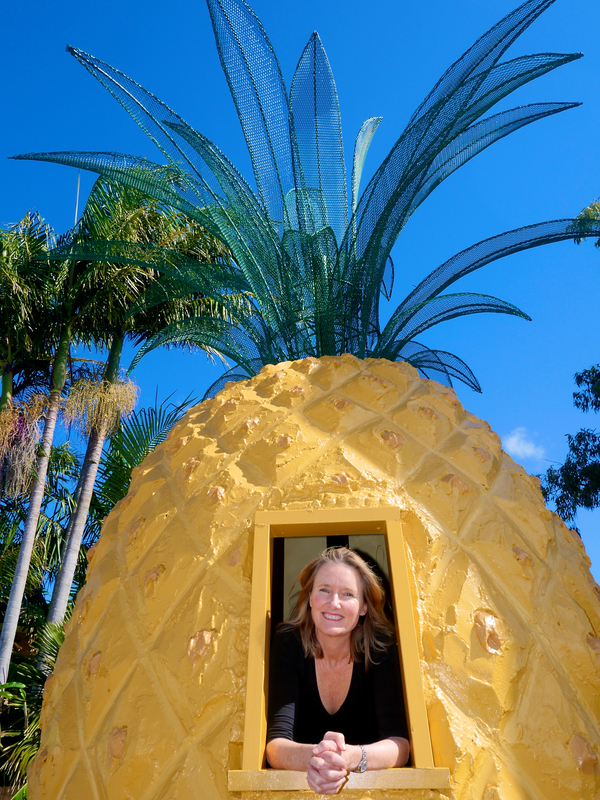 Moya Sayer-Jones will be launching ‘Arkie’s Pilgrimage to the Next Big Thing’ at the Northern Rivers Writers Centre in Byron Bay at 6pm on January 30th. All welcome and you can find more information here. – Ashfield Civic Centre in Sydney at 1 pm on February 10th. More details here. – Margaret Martin Library, Randwick, Sydney at 6.30 pm on February 10th. More details here. – literary lunch at La Vida Restaurant, Lismore at 12.00 on February 12th. More details here. – Elanora Library on the Gold Coast at 10.30 am on February 26th. More details here. My clever son Tim Eddy has made a book trailer for me which you can check out here. 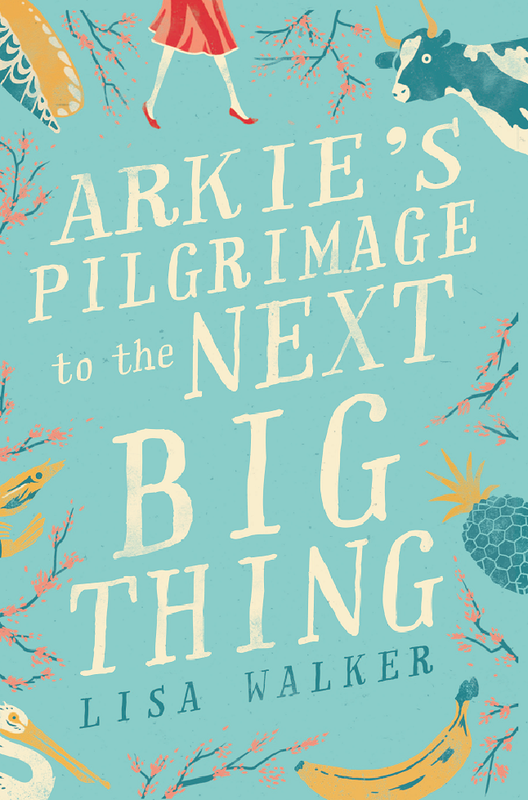 ‘Arkie’s Pilgrimage to the Next Big Thing’ is available now for pre-order in e-book or print. You can do this via the Random House website here. Best wishes for a wonderful Christmas and a Happy New Year!